Who’s it for and what’s it about? This course is suitable for electrical and non-electrical personnel and will outline basic electrical safety for housing staff. It will then go on to consider what the minimum requirements are for contractors coming on site and how to interpret their test reports. This course will be particularly useful for maintenance staff and those working with void properties or major works contracts where electrical certificates will be issued. Housing associations and co-operatives are governed by voluntary Committees/Boards. Understanding the principles and practices of governance is essential to being an effective Committee/Board member. This session provides an overview of the various Codes and documents that guide the Committees/Boards in fulfilling their roles and responsibilities; and will cover Charitable Model Rules for housing associations and co-operatives; Code of Governance; Code of Conduct for Committees/Boards; Scottish Housing Regulator’s Standards of Governance and Financial Management. 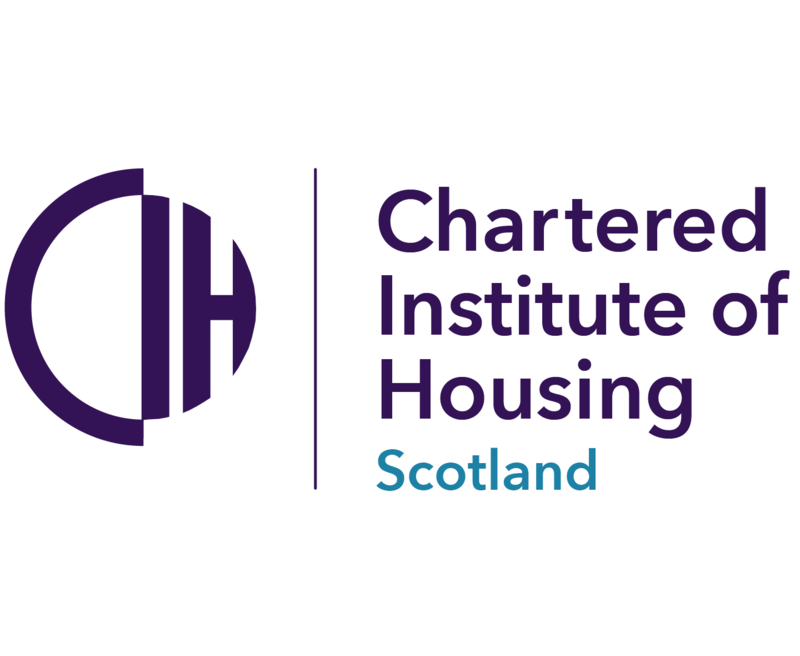 Committees/Boards of Housing Associations are obligated under the Scottish Housing Regulator’s Framework for Governance and Financial Management to conduct annual check-ups or performance reviews. Many organisations are now building these into their annual programme of activity. However, is an exercise once every year a satisfactory measure of the effectiveness of a governing body and will this ensure ongoing success? In this session we will explore how we can make effective governance a part of our culture so that we are continually reflecting on our effectiveness as Committees/ Boards. This course is designed for any housing staff that may work with or encounter adults who are at risk of harm. The aim of this session is to look at and discuss the practical application of the Adult Support and Protection (Scotland) Act 2007. It will cover the three point checklist, the use of referral forms and the thresholds of harm which may or may not be reached and what action is then taken. The course will look at relevant case studies to allow delegates to gain a better understanding of how this legislation works in practice. On completion of this session, delegates should feel more confident in their abilities to deal with this difficult and complex area of their work. This session for Committee/Board members will focus on their role and key responsibilities as the employer of staff in their housing association or co-operative. The session will consider key employment legislation that Committee/Board should be aware of, best practice in recruitment; equal opportunities in the workplace and how employers must ensure these; protection of vulnerable groups; and prevention of illegal workers. This course is designed for maintenance staff who are involved in the adaptations procedure. It will provide an overview of the process from inception to completion: dealing with social work requests; funding streams available; conducting site visits; preparing briefs for contractors and overseeing works. The range of adaptations and the benefits and limitations of these will be discussed, along with the parameters associations must work within. There will also be discussion about the approach to adaptations in development or regeneration projects. This should allow staff to have more informed dialogue with social work and occupational therapists, providing the best service for tenants in need of adaptations whilst being mindful of the overall strategic approach. ASB and lower costs to manage the tenancy in general. For the tenant this can be the start of a real confidence-building journey. This course is aimed at any staff member who will speak to potential tenants and the purpose of this course is to ensure that future tenants are ready for their new tenancy offer. With an increasing dependency on digital services this course aims to introduce housing staff to cyber security. The course will look to address the main areas involved in cyber security from mitigating cyber security risk to recovering from a cyber security attack. To re-enforce the importance of cyber security the course will touch on the legislative context in relation to data protection regulation as well as providing a means of practical cyber security self-assessment. This course is for anyone who needs to understand the place that budgets play in the daily routines of the workplace. It is specifically aimed at those who are wanting to progress in their career and who recognise that in order to do that they will need to get their head around the money! The purpose of this introductory course is to develop your knowledge and understanding of costs and budgets in your Association/Cooperative and particularly in your department. This course provides delegates with the opportunity to explore their ability to hold crucial conversations with customers. A range of different techniques will be investigated, through the use of practical examples, which will encourage delegates to make clear, focused and timely interventions when the need for a crucial conversation arises. The course gives delegates the skills to deal with conflict with tenants and identify how to generate more positive results through an effective exchange of dialogue. This programme has been designed specifically for non-technical staff involved in customer relations and repairs ordering including administrative staff, receptionists, repairs centre staff, housing assistants, officers, and customer service staff. It is also helpful for those managing staff who have repairs reporting responsibilities. It consists of five modules which can be taken together or as standalone one-day courses. The building maintenance and reporting repairs module will review the common problems reported for domestic properties, provide understanding of the legal & regulatory obligations to classify, record and communicate these accurately for repairs and maintenance. This session is for frontline staff who are directly involved with the organisations’ customers and are likely to be part of the customer services team: work at reception; in maintenance or housing management. Whatever their department; they will spend a lot of their time dealing with customers. This interactive and informative session will explore the basics of what customer service is and why it is so crucial to all parts of the organisation, and especially at the front line. It will look at best practice and policies as well as exploring the so called ‘softer skills’ that are required to ensure that service is delivered confidently, consistently and professionally. Scottish secure tenants – what are their rights? This course is aimed at all housing staff providing advice and information to tenants and other service users. It is particularly useful to staff wanting a refresher or for new staff. This may include housing assistants, housing officers and other policy staff developing rights’ procedures. This course examines current Scottish secure tenants’ rights in detail. The course is a practically focused one that examines how to implement rights effectively into practice. This will be done by examining the law and then critically assessing specific organisational procedures. The course is, therefore, highly participative in nature and will ensure group discussions of current practices. Public speaking is often cited as one of the most prevalent fears or anxieties that people struggle with. But this does not need to be the case. This session will demonstrate to delegates how to approach different aspects of your public speech, and how to make your message stand out to your audience. The session will look at: designing a structure appropriate to the audience; controlling nerves; recognising what makes a speaker look confident; performing a speech opening; creating good visual support; consider what the brain remembers; explore how to practise successfully before performance; and tips and techniques for using flip charts effectively. This course is for staff that use or are responsible for updating the personal data of their customers and staff using CRM systems (Housing Management Systems). Personal data can be a name, email, address date of birth or any unique identifiers as well as digital footprints and more. It will also look at how you analyse your digital data, what you use it for, how you store it and how your customers can get access to it. If you use a database to store your customer’s details, this session is not to be missed. This course is for anyone who will be acting on behalf of their organisation to negotiate and award contracts and manage them alongside the contractors. It is ideal for those in technical services or development roles who want to develop their knowledge, understanding and skills in the area. With an increasing dependency on digital services this course aims to introduce Committee/Board members to the importance of cyber security (Internet and PC Security). Your organisations depend on information technology more and more, managing your rents, voids, repairs, statistics for the regulator, and the list goes on. Never has it been so essential to avoid a cyber-attack. The session will look at the main areas involved in cyber security from mitigating cyber security risk to recovering from a cyber security attack. Appraising your Director or Chief Executive’s performance is a task that is integral to the Committee/Board role as the employer, is important for the senior officer’s development, is good practice, and is a requirement of the Scottish Housing Regulator as set out in the Regulatory Code of Governance. This session will support Committee/Board members who will carry out the appraisal process and will help you prepare for a focused dialogue that will form a clear perspective on past performance as a basis for making future plans.